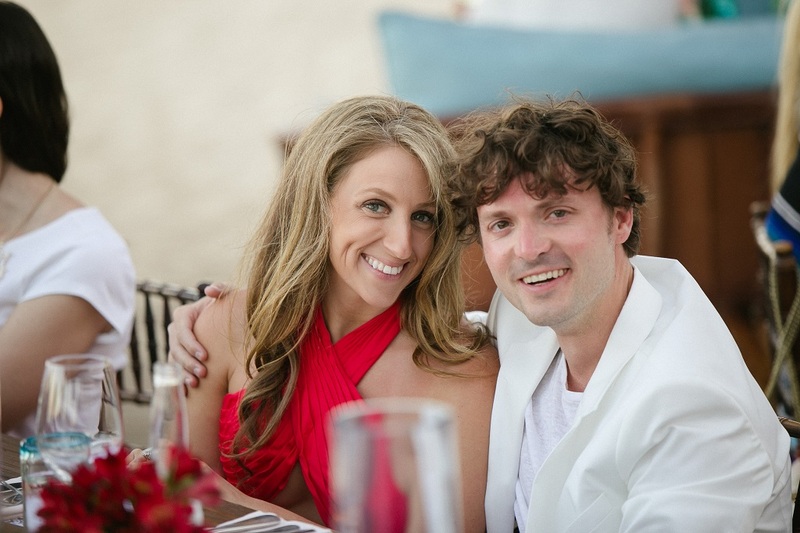 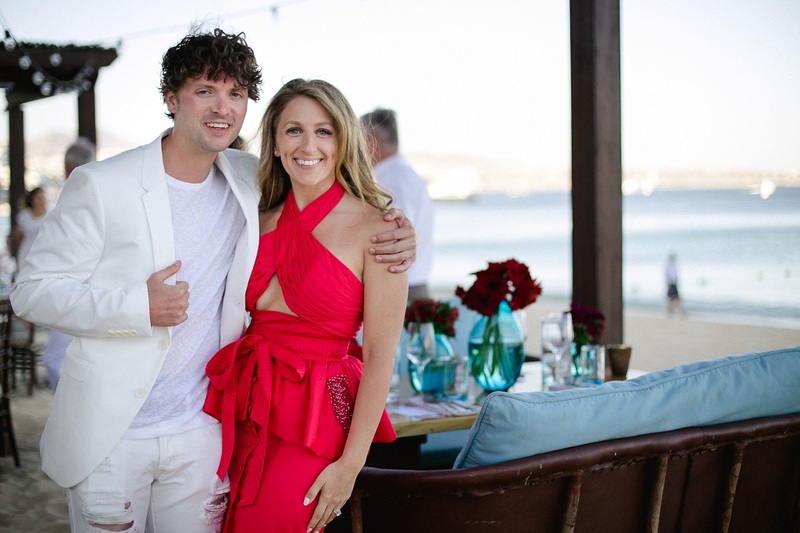 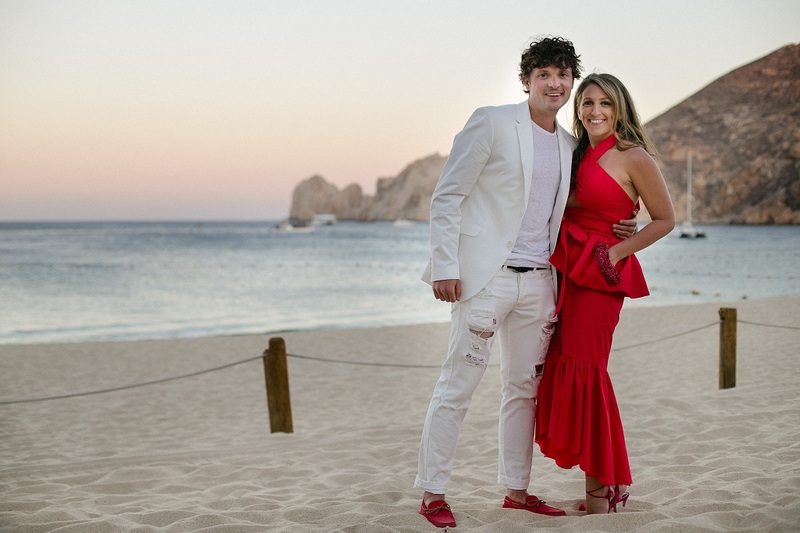 Melissa and Tommy, Our Stylish Bride and Groom, on the beach in Cabo San Lucas! 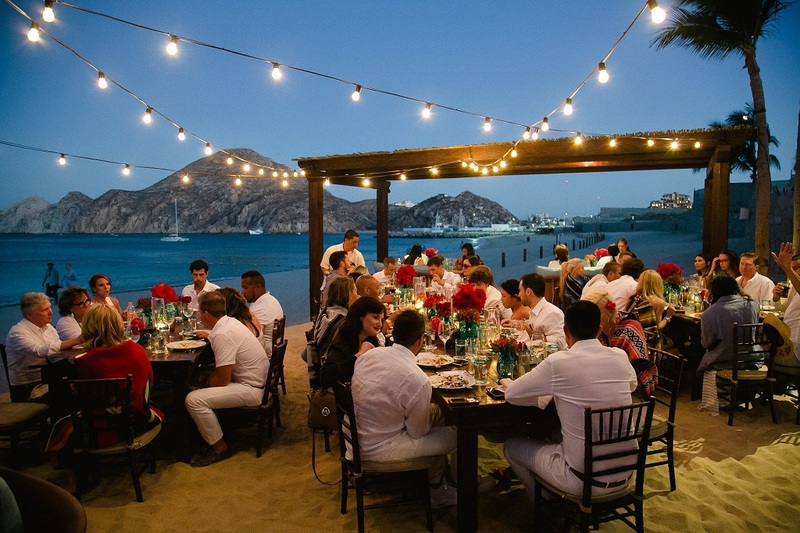 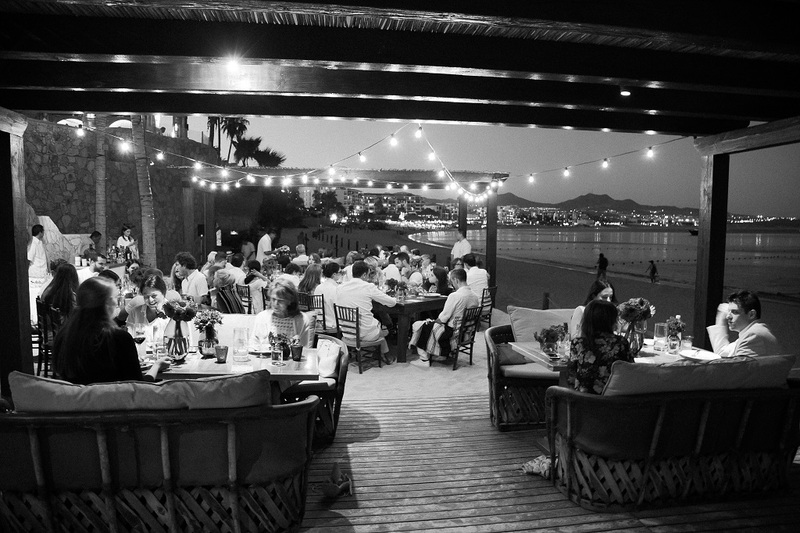 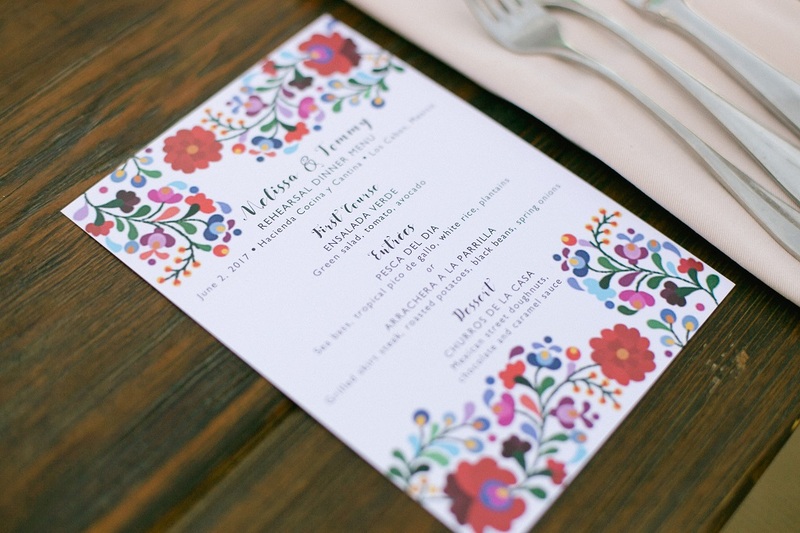 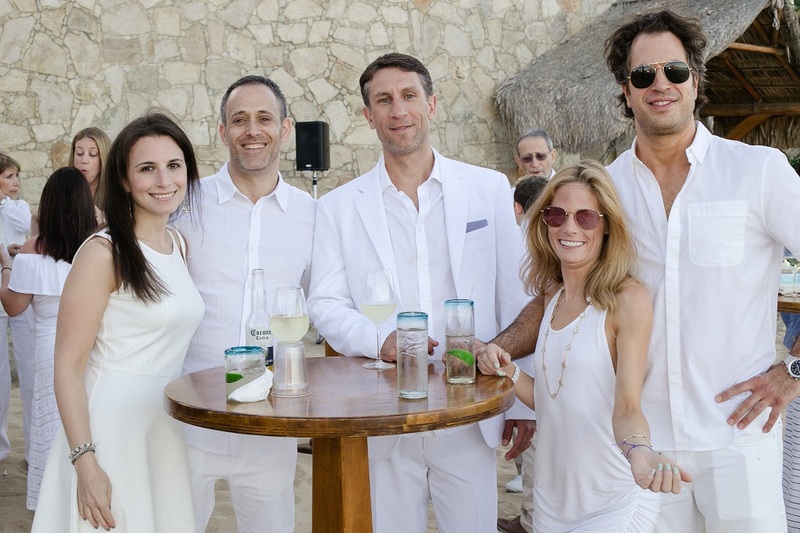 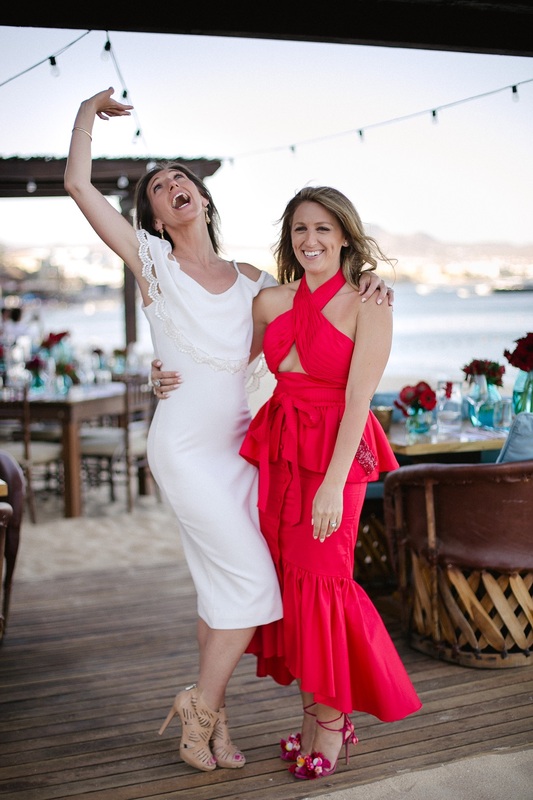 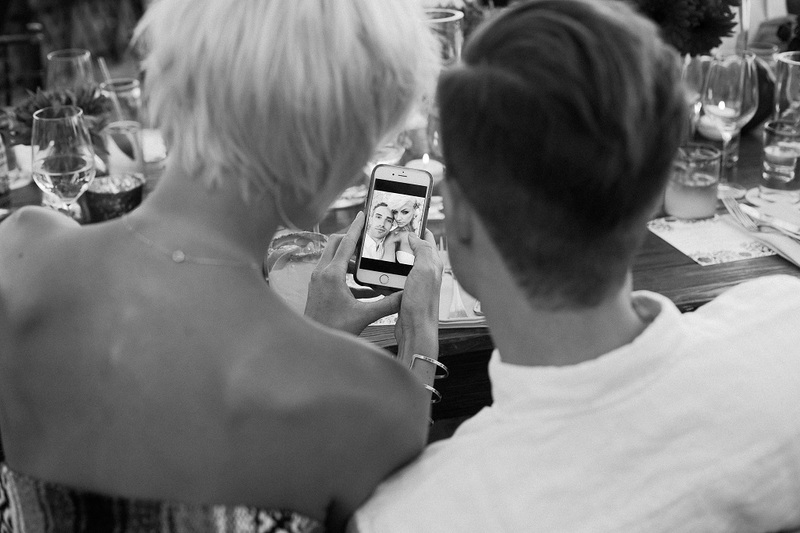 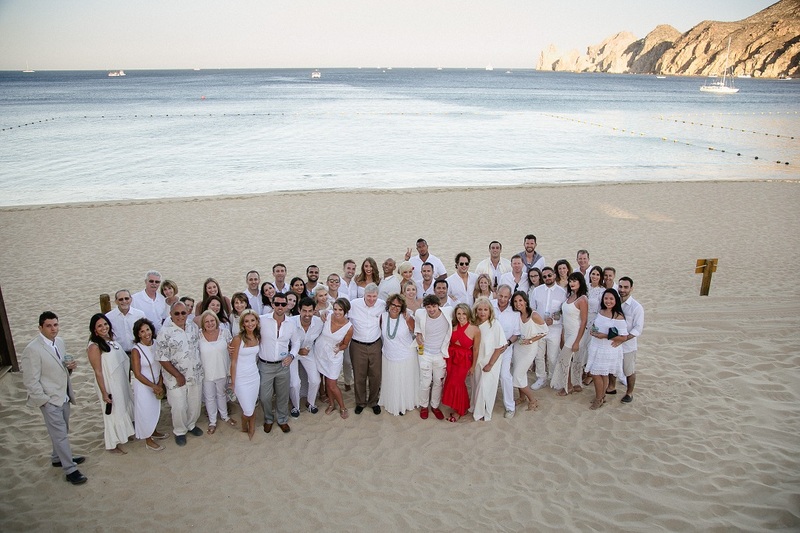 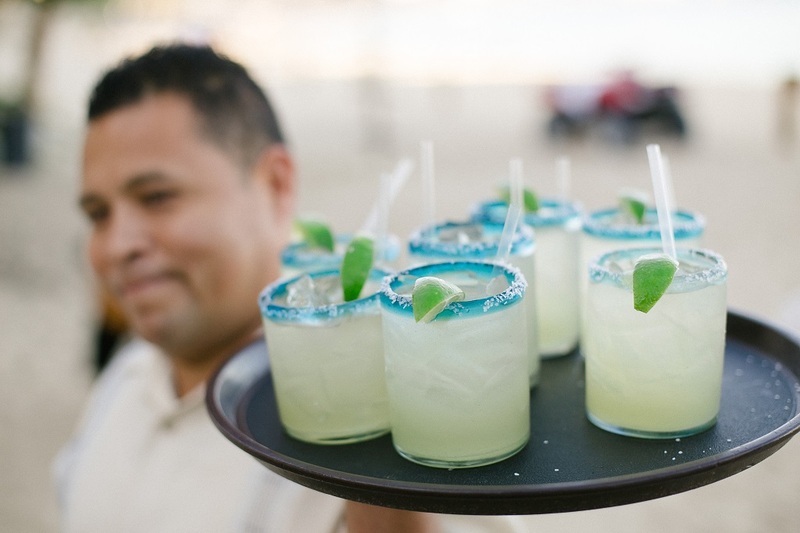 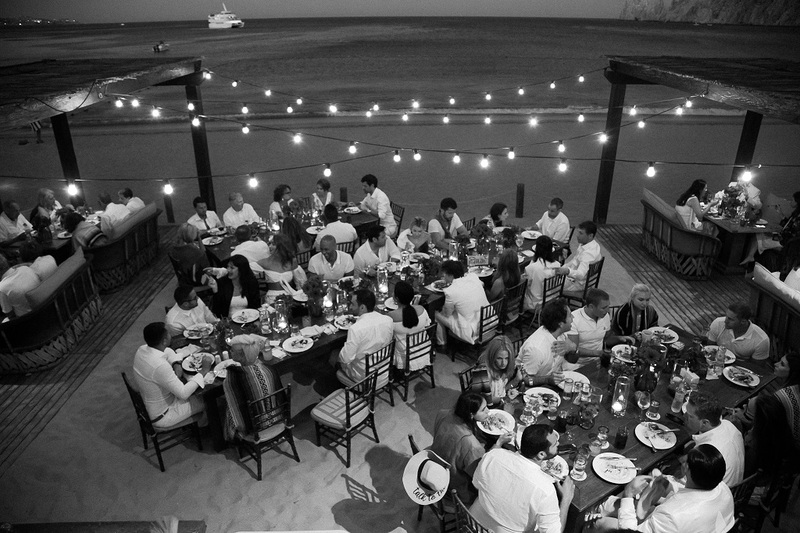 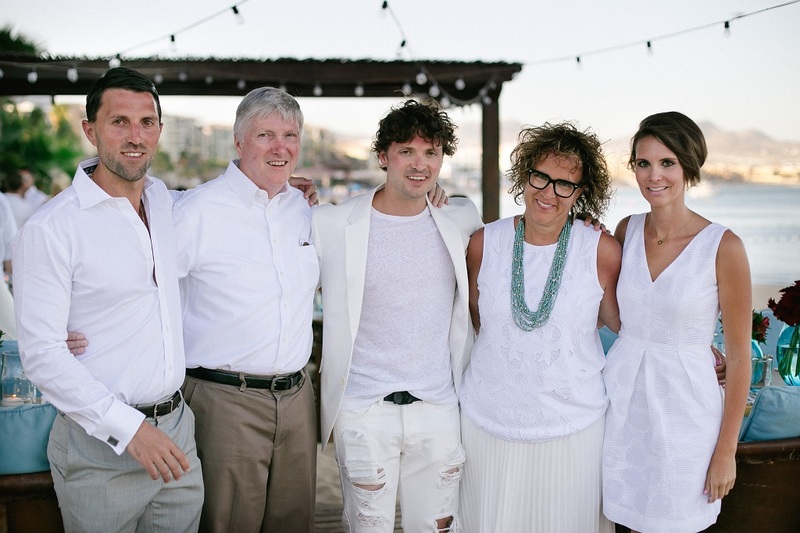 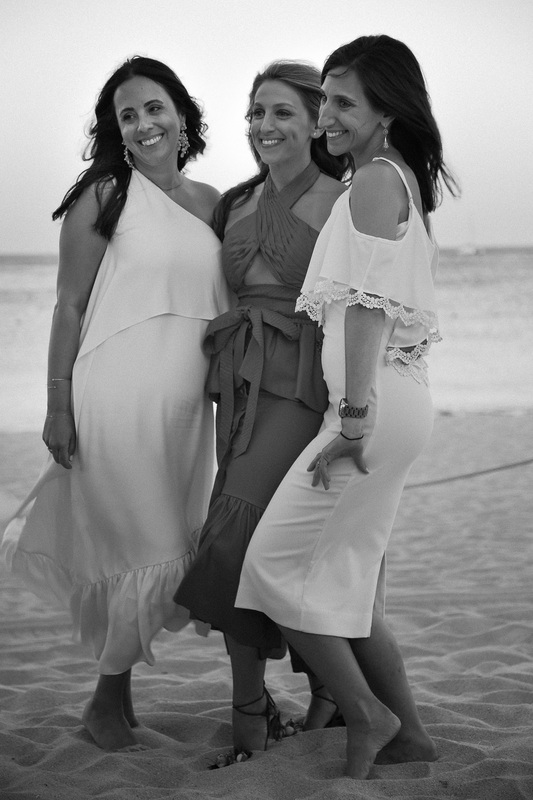 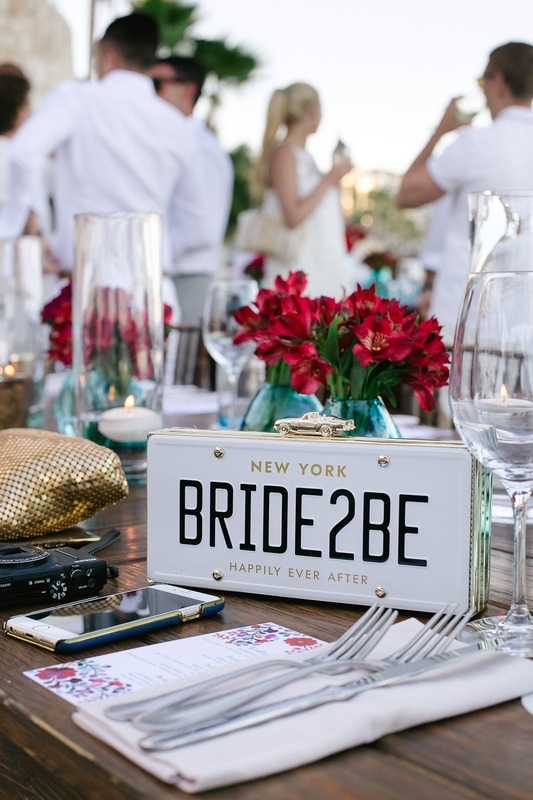 THE PERFECT REHEARSAL DINNER IN CABO! 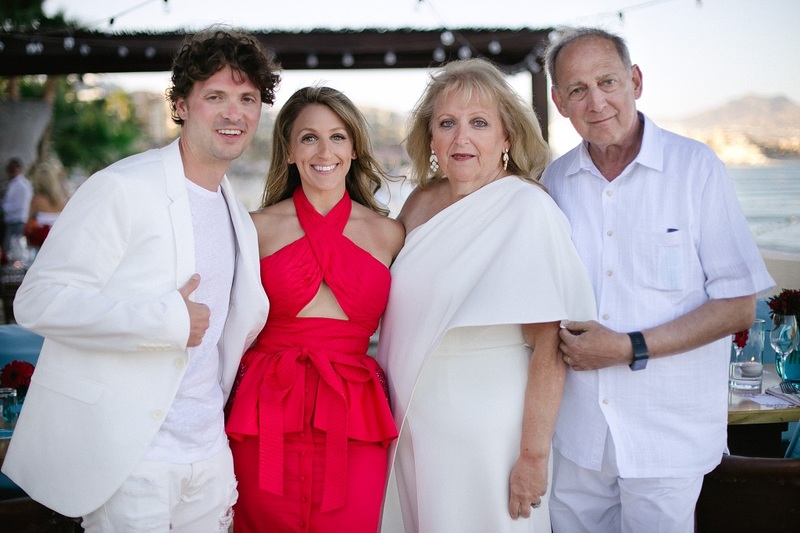 Elena Damy worked closely with Elsa Dilasser, their wedding planner, to bring the couple’s chic style into the event setting through flowers, fabrics, and candles. 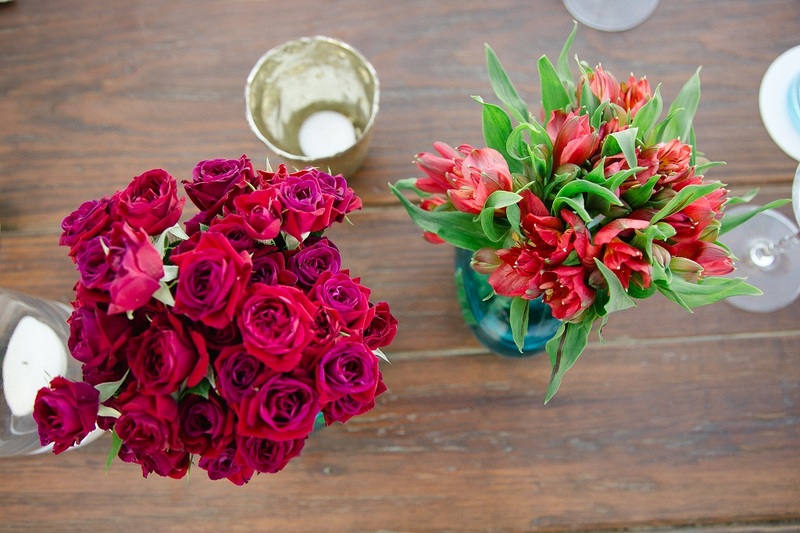 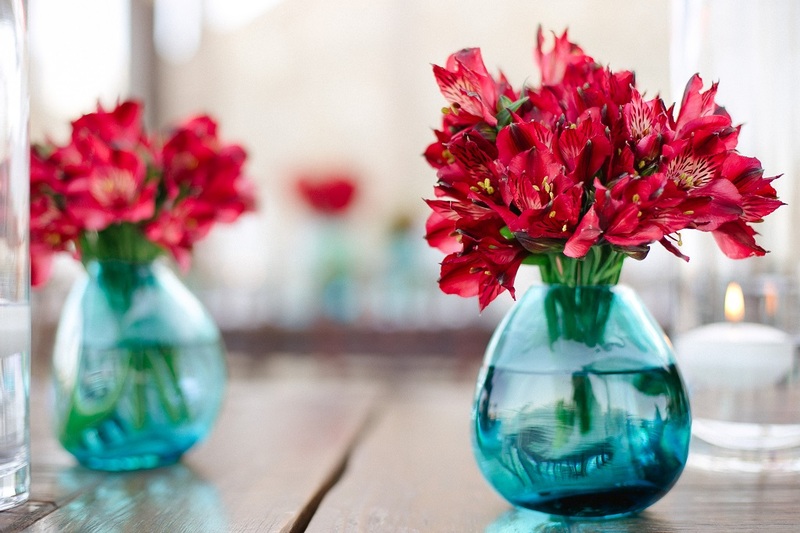 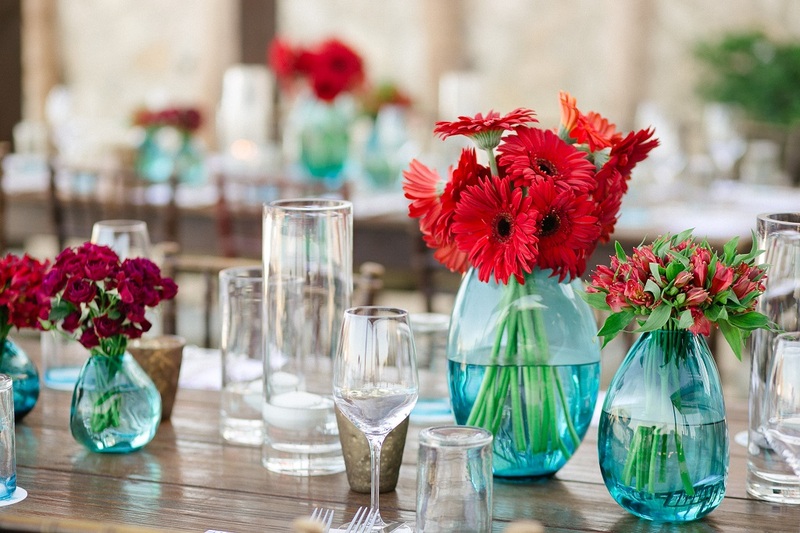 Beautiful florals in shades of red were boldly arranged in sculpural, locally-handblown aqua glass vases. 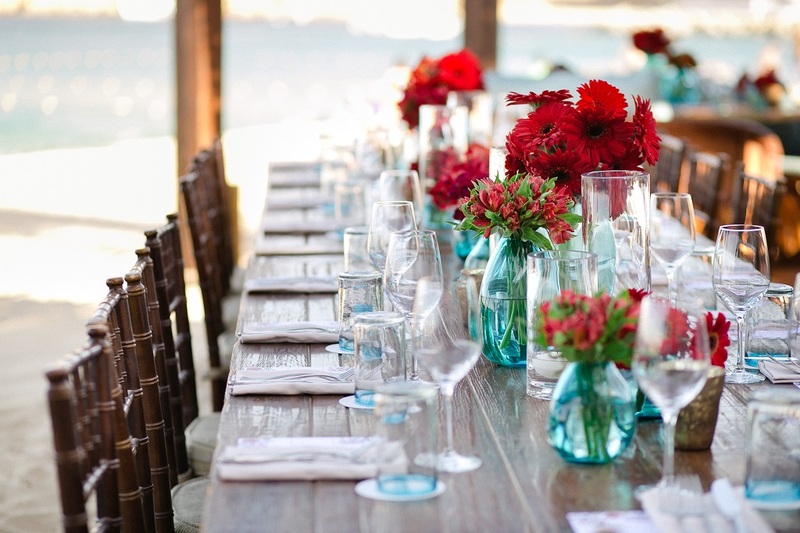 Aqua is not only a part of the natural scenery, and therefore, already providing a huge backdrop to the event, BUT, it’s gorgeous when matched with reds. 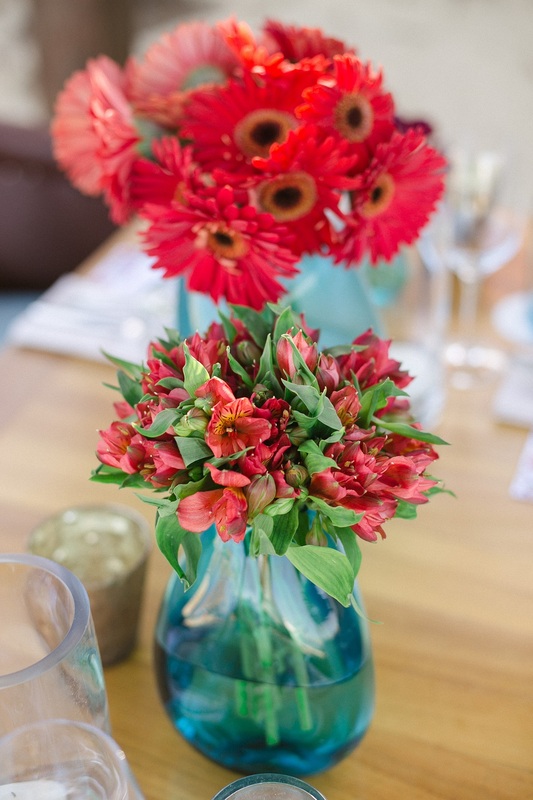 Elena created monochromatic bouquets of red gerbera, roses, alstroemeria, and tulips which she placed down the center of the wooden tables. 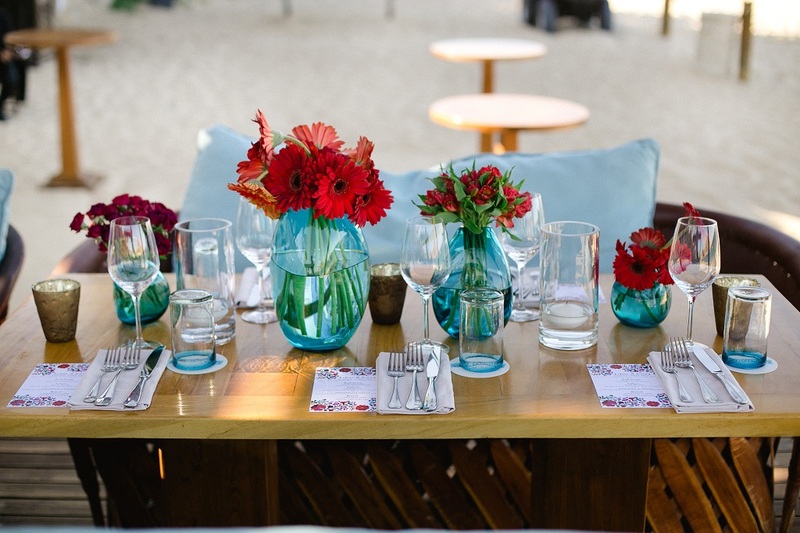 They were paired with ocean blue pillows, modern glass hurricanes, crisp white table settings and pale aqua stemware. 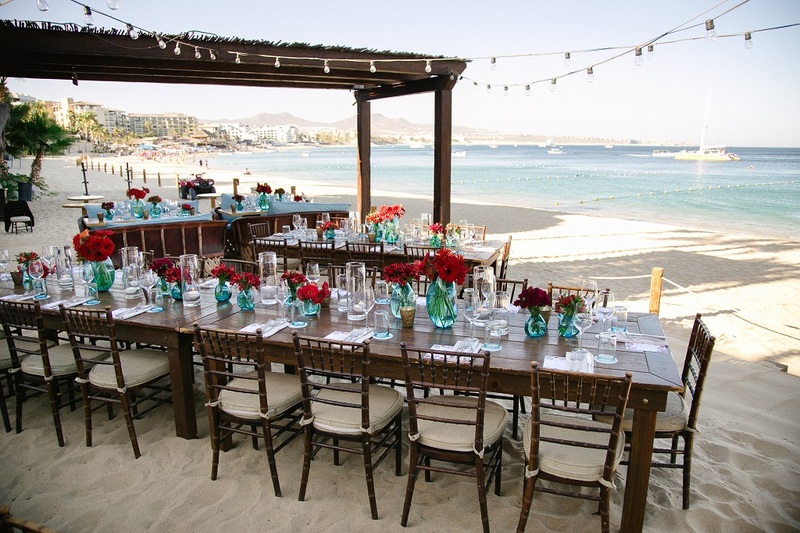 Mexican-inspired floral menus added a thoughtful touch on the tables and the restaurant’s vintage-inspired lights strung over the whole party area ramped up the mood to FESTIVE and FUN! 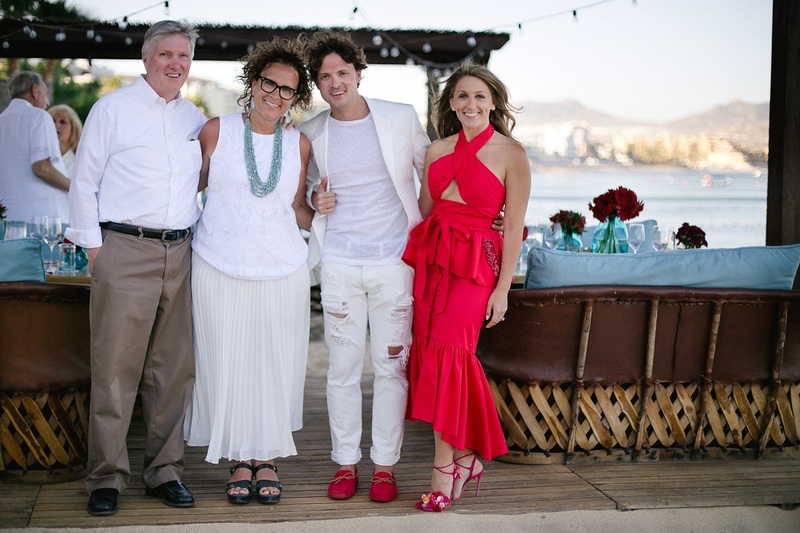 From the emotional toasts to the crazy dancing and endless hugs, Melissa and Tommy’s rehearsal dinner was a wonderful introduction to a weekend of celebration!